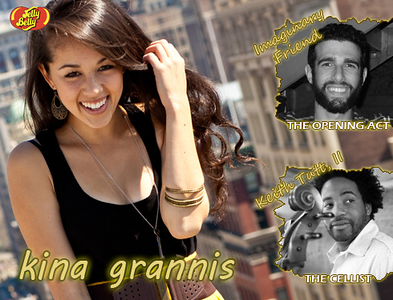 2012.04.23 | Live Show: Kina Grannis Falls Into Our Arms In Baltimore! She wrote and sang songs in the stairwells when she was in college, and she has seen the world right in front of her. She now returns for a world wide tour to be in the arms of all her fans and supporters. 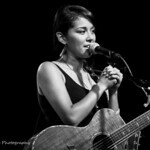 She is the talented and the beautiful Kina Grannis. She has had two U.S. tours before this, but what makes this tour big, is that she goes world wide, and her whole tour is sponsored by Jelly Belly while being an independent artist. Her tour jump started in Europe, then she hopped over to Asia, leaped over to Australia, and flew back home now to finish her last leg of the tour in the US. For her In Your Arms World tour, she had Jesse Epstein, also known as Imaginary Friend, return as her opening. 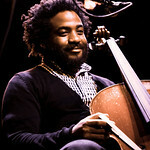 She also had cellist, Keith Tutt, II, come with her to perform in her set for the whole tour. It was great for me to see her for the third time and been able to go to her show for the fourth time at the Baltimore Soundstage in Maryland. I first bought tickets back in January as soon as tickets were released to the public to purchase. I originally bought tickets to see Kina in DC at the 9:30 Club on April 24th, but later found out I had to go to training for work. I was so disappointed and upset that the training had to land on the same day that I leave for the training. I had to double-check the show listings from her website hoping that she would have a show in Maryland. Low and behold, Kina did have a show scheduled in Baltimore, Maryland and it was several days earlier! 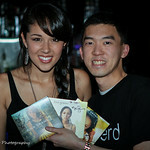 The only caveat is that it was further way, but it's worth it when it comes to either Kina Grannis or Marié Digby. So, even though I had a ticket already bought for the DC show, I decided to buy a ticket to her Baltimore show a month before. That way, I can see Kina again. Since it was my first time at this relatively new venue, I emailed the venue to confirm if I could take pictures and record videos since some venues are sticklers for that. They said as long as the artists are okay with it, then they are okay with it. That is such a great mentality for a venue and appreciated their openness with that since Kina is very open to video and pictures at her shows. For the Baltimore show on April 20th, I decided to take off work because I would likely want to leave early because I wanted to avoid traffic going from Virginia to Maryland which is insane. I left at 3pm hoping to make it there by a little after 4pm. Unfortunately, hit a lot of traffic, and didn't get there until a little after 5pm. It took me a total of two hours to get there. The good news is that I got there after 5pm, so I can go and park straight into the garage since discounts work after 5pm. The bad news is there was already a small line, so I couldn't get something to eat before the show. As I drove into the parking garage and waited in line, I was able to see Kina's Jelly Belly tour bus parked right in front of the venue. 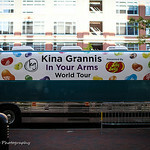 It was the first time Kina had a tour bus for her tour and sponsored but a big and well-known company, so I wondering if the bus was going to park in the back or front of the venue. I was so happy it was parked in the front for everyone to see. I took some pictures on my camera and phone. While in line, I met this really nice couple from San Francisco who came to visit and vacation in DC. It was nice to meet them and to keep each other company in line while we waited to get in the venue. Doors opened at a little passed 6pm. It was a unique venue. We had to wait to be seated like it was a restaurant. I was used to first come, first serve seating or assigned seating, so this was definitely different. Once it was my turn to be seated, the manager of the venue, asked if I wanted to sit at the bar or at the table. I asked for whatever is closer, so I can take pictures and film video. He gave me a table, but soon realized it was one of the worst angle seats for a photography. I asked the hostess if I could just sit at the bar. After I got settled in and got all my photography gear set-up, I walked over to the merchandise stand and talked to Jesse. Just like last year, he was helping Kina selling merchandise. The only difference is that this time, I knew who he was. When I was talking to Jesse, I was very surprised he remembered me from last year's DC show at Jammin Java. 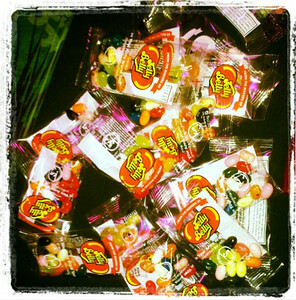 Before heading back to the bar, I grabbed a few bags of Jelly Belly jelly beans. Since I wasn't able to get food for dinner before the show, I ordered a simple chicken Caesar salad to eat for dinner. While I was waiting for my food, someone came up to me and thought I looked familiar, but both of us couldn't figure out where we saw each other. 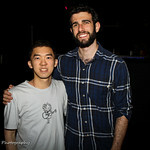 We just figured we must have seen each other at other Kina shows or at David Choi shows. Short after, I went back to the merchandise stand and introduced myself to Beth, Kina's road manager (I believe). I kind of failed at first, I forgot her name, and for some reason I thought her name was Pam. How embarrassing! I just hope she wasn't insulted. Anyhow, I talked to her for a bit and one of the topics I brought up was about her balut peer pressure with Kina in the Philippines. She had no idea it was filmed. It was en eventful night. I met a lot of great people at this show, and for once, it wasn't boring waiting for the show to start by myself. The show was finally under way after 8pm. I won't go into too much detail since I would be repetitive from my previous blogs from Kina's show. Just know that when you go to a Kina show, you won't be disappointed. To take the stage first was Imaginary Friend from the merchandise stand straight to to the stage. He performs seven songs, of which, three were new songs not from his EP and one Frank Sinatra cover. His set one one song longer than the last show I went to but ended fairly quick. His set lasted for about half an hour. To see his performances and prologues for his opening act, you can click on the links below. It's finally Kina's turn to perform. She takes the stage at about 9pm. She comes out to a loud cheer from the crowd. 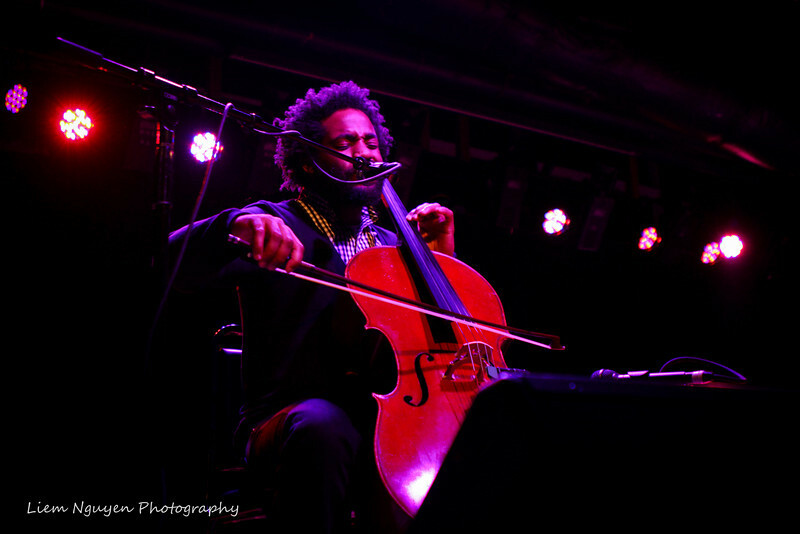 She comes out with her cellist, Keith Tutt II. It was finally an incredible feeling to finally see Kina and Keith perform live together. I've seen them perform together on YouTube but not in person yet. It just sounds even better in person. Kina was as sweet and entertaining as usual on stage. She performs a total fourteen songs, and of which, three encore performances and two covers. What I've been waiting for was her cover live performance of "Safe and Sound" by Taylor Swift and The Civil Wars. Her cover for that on YouTube was just phenomenal. She even had the venue turn on house lights, she could see who came to see her perform. She didn't expect a crowd as huge as that night since it was her first time in Baltimore. During that time, I swear she looked straight at me when I waved and she waved and said hi back. Throughout the show, I also swear she looked at me and smiled several times! The show ended with Keith and Imaginary Friend coming back out for a last performance with Kina covering "Fix You" by Cold Play. Another great cover by Kina on her YouTube channel. To see all her prologues and performances from her set in Baltimore, you can click on the links below. If you would rather see the whole show from beginning to end, you can click on the embedded video to watch them in respective order. After the show, the fun begins. Everyone packs up and lines up for the never ending meet and greet line. Only people who who bought meet and greet tickets and the first fifty people in line got to meet Kina. It took over an hour until I finally got close to the merchandise stand. While I wait for a few more minutes to meet Kina. I was greeted by the venue's manager to see if I enjoyed the show and the food. I thanked him for understanding and allow me to take pictures and video of the show. I then complemented Imaginary Friend on his performance and asked him when his LP album going to be released. He said it should be ready by September, so I'm excited to hear new music by him. I also quickly talked to Keith a bit and he's really nice guy. He's very humble. Finally, I made it to Kina and when she saw me it was just like best friends that haven't seen each other in ages (which did feel like ages since last time). She gave me a hug and glad to see me again at her show. We talked for quite a bit. A few topics we talked about was how I was supposed to go to the DC show, but plans changed and I had to go through two hours of traffic to come see her. She was really appreciative. I then asked her to sign the France edition of her Stairwells album and she was completely surprised that I got it. She asked me where I got it from and told her I searched everywhere and finally was able to find it on Amazon.fr. I then, again, pulled out an 8x10" picture of me and her from her last show I saw her at Jammin Java. She impressed me again with signing all my stuff without me telling her my name and how to spell it. I told her last year, she surprised me by doing the same thing and she did it again this year! She makes me feel like a valuable and cared for supporter. One of the reasons why I love her so much! Beth then said I had to speed it up, so that other people can met Kina. Beth then took a picture of me and Kina holding the original, deluxe, and France edition of Stairwells. Pretty epic picture. Everything moved so quickly, I forgot I wanted another picture of Kina where I would have my left arm up in the air to have Marie Digby there in spirit. That's okay though, the whole night I was in complete bliss and everything went to plan. The only thing that sucked was driving home, I was expecting easy sailing, but I hit again traffic due to road construction, so another two hours stuck in traffic. This time it's worse because we weren't moving, so I just parked the car. I didn't get home until after 2am. I also took a lot of nice pictures, and you can see them by clicking on the image below or the links below. Special thanks for Kina for having this incredible world tour and coming back to the East Coast to me and other Kinerds again. Thanks to Jelly Belly to make this world tour happen for Kina. Thanks to Kina for bringing along Keith, so we can hear him play in your set, and thanks for bringing back Imaginary Friend back on tour. 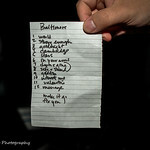 Lastly, thanks to the Baltimore Soundstage for allowing video recording and pictures to be taken during the show. I'm sure Kina and her fans appreciate the hospitality. 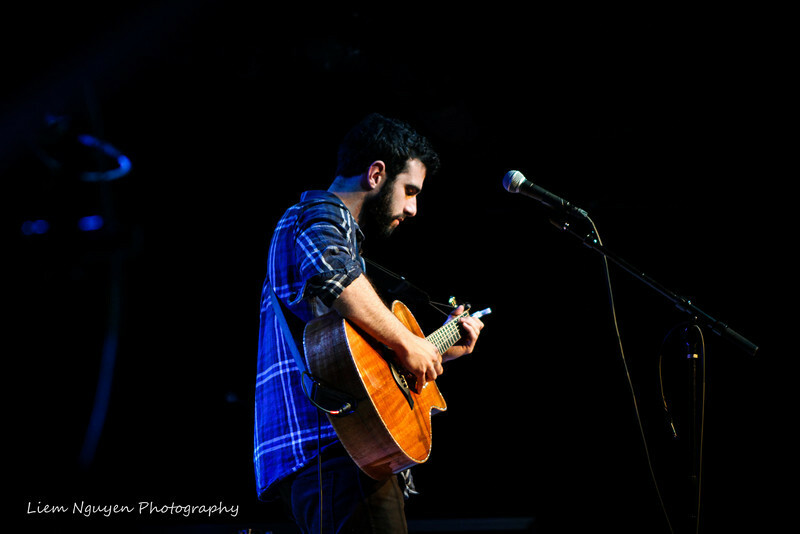 If you're interested to know more about Kina Grannis, Imaginary Friend, and Keith Tutt, II and would like hear more music by him, please do check out his website below. As always, go out and support them by going to their shows and buying their music. 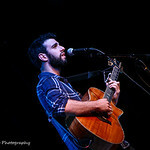 If you'd like to read up on more shows and see more pictures and videos I've taken at live shows, please be sure to visit http://shows.LiemPhoto.com.